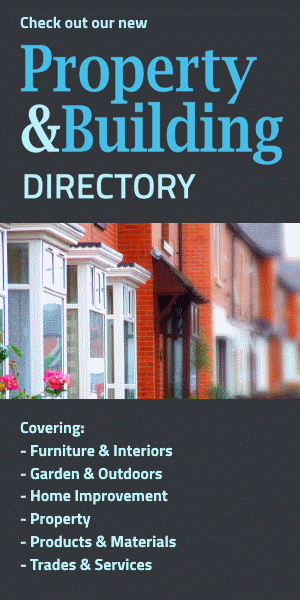 Home Interiors Directory | Hints & Tips | Using mirrors solely for reflection is so last century! Using mirrors solely for reflection is so last century! If you thought that mirrors could only be used to see your reflection, think again! Today, mirrors have become real home décor pieces. In fact, mirrors can be assets in brightening up any room and giving the optical illusion of having a much bigger space. For this reason, they are especially recommended for people who own smaller flats, as they are the most inexpensive way to "buy" extra square metres. On the other hand, mirrors are also great for decorating the home, thanks to all the cool shapes and frames that we can find today. Here are five ways to use different types of mirrors in different ways to make any room shine! As I have previously mentioned, a mirror has the great power of making any room seem much bigger by giving the illusion of space, but it has to be placed strategically. A great way to achieve that is to place a floor-length mirror behind a piece of furniture, which will not only make the room feel larger, but will also give a very glamorous effect. If you line the top of the mirror perfectly with the ceiling, it will also give the illusion that there is another room behind the piece of furniture. What more can you ask for? 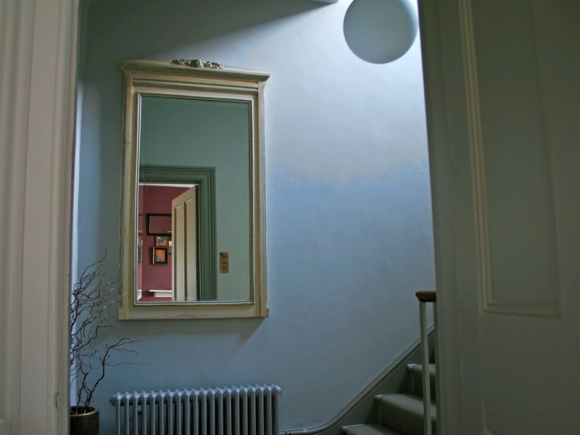 A mirror can also be a great centrepiece in a room and a great modern substitute to the usual painting. 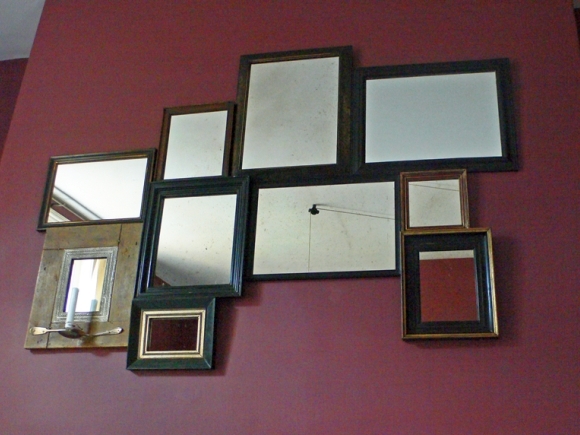 You can either go for a statement frame for a big mirror or create a composition of smaller mirrors in different shapes. Even better, you don't even have to break the bank to revolutionise the whole feel of your room - I bought a decorative mirror for the bedroom at Argos, which to my surprise had a bigger and better choice than some high-end home interior stores. There are two ways to use a mirror in order to brighten up a room. The first one is to place the mirror behind a source of light, as the reflection of it will maximise the effect. The second one is to place the mirror on the wall opposite a window, which will multiply the view and "create" another window in the room. If you really want to make a bold statement with mirrors, go for two mirrors on adjacent walls. This will multiply the space instantly and create a really modern and amazing optical illusion. But beware, as it may also give a dizzying effect - so don't exaggerate with this one. Today you can find many pieces of furniture and objects that are mirrored and they are great in any room to reflect the light and give extra brightness. For instance, you can go for a mirrored cocktail table in your sitting room, or a mirrored beauty console in your bedroom. Whatever you decide, it will create a great effect that will add a touch of modernity to any home. Photo credits: Cropped from original images by Maria Luisa Bucella (top), licensed under CC BY-ND 2.0, and Charlotte Holmes (middle and bottom), licensed under CC BY-SA 2.0.